You may think you've had enough of photography and gallery apps, but you actually haven't, because you haven't seen 500px offering yet. 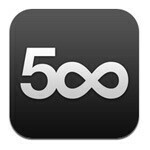 500px is the new cloud photo gallery app that has been on the rise to take on Flickr for dominance in the space. Now, there's an Android app to go along with the service, and it's definitely worth a look, even if you don't use 500px. If you spend most of your time in an app like Instagram, you may have forgotten something: photography is an art. Chances are you may have a couple friends who are pretty good at photography, but overall, you may not be seeing much that has anything other than personal meaning. 500px has been gaining popularity, and especially with professional photographers. You know, those guys who actually know how to make a photograph amazing without the Amaro filter. With the app, you can browse the popular, and new photos being shared on the service. Of course, if you have a 500px account, it'll be even better because obviously then you'll be able to see your photos, friends photos, create sets from anything, and share photos you find. One odd thing about the app is that it doesn't actually let you upload photos from your phone right now. That may be something that will come later, or it may be a conscious decisions by the devs to limit the mobile photos, and promote higher quality. 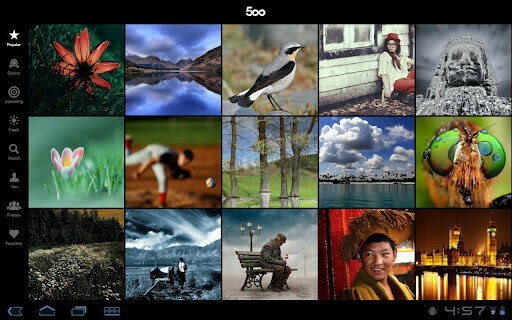 500px has been on the iPad for a while, but there still is no iPhone version. 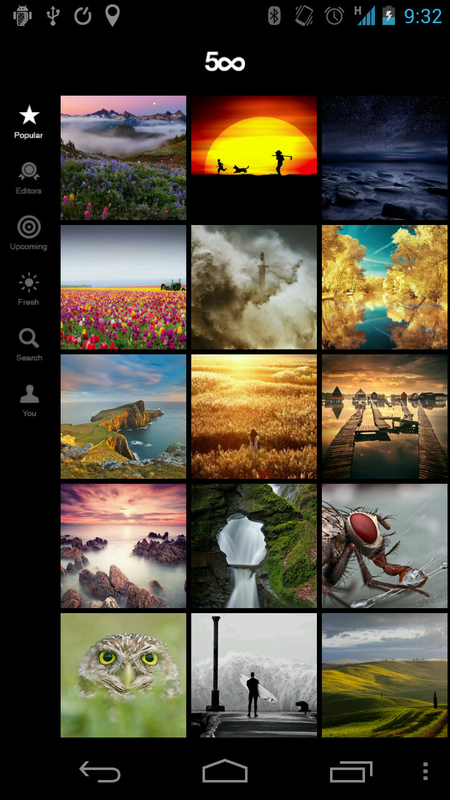 500px for Android is available on both phones and tablets just so long as you're on Android 2.2 or higher. If you want to try out the app, it's available for free in the Google Play Store. yeah, i know right? i hate recycled iOS apps.